Hi everyone! 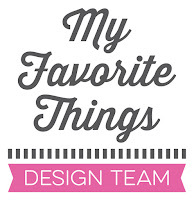 Today is the fourth day of the My Favorite Things May release countdown. 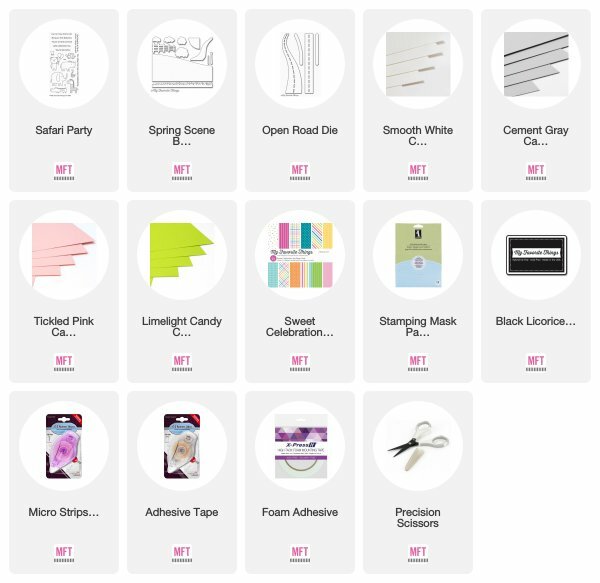 This release is packed with amazing new products! Isn’t it? Most of the supplies I used for this project are linked at the bottom of this post. 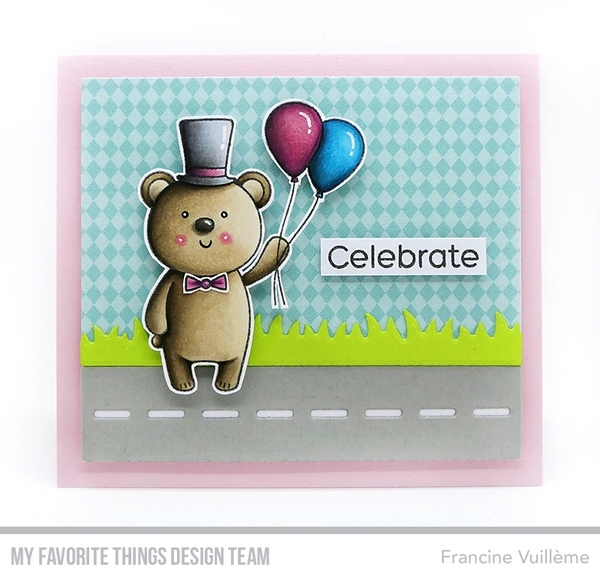 I created a scene using the bear, the hat and the bow from the Safari Party stamp set. The road is from the Open Road Die-namics set. The grassy border is from the Spring Scene Builder Die-namics. The patterned paper is from the Sweet Celebration paper pack. Such a fabulous little scene!! Mr. Bear is adorable standing in the middle of the road. What an easy card to create! Awesome coloring! Love your bear card! Beautiful Copic coloring and I love how you paired different sets to create this darling scene! Such a cute card, Francine!